When you are setting for a camping trip, you need to carry light equipment. Everything should be as compact as possible starting with beddings to tents. On the other hands, despite their compactness, they should offer as much comfort as full-size equipment at home. 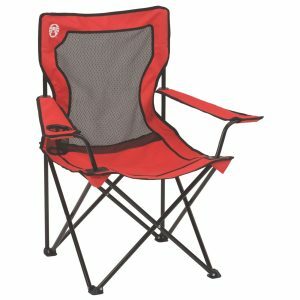 One of the most essential when camping is a chair. Seats are useful as they allow people to relax as they engage in story telling around the fireplace. These days we have extra-light and sturdy chairs made from light material to facilitate portability. They provide maximum comfort without adding extra carrying weight. 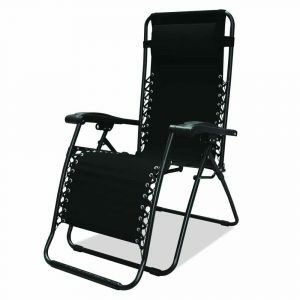 We are going to review 10 best camping chairs to allow you get the most ideal for your next camping. When relaxing with your friend in a camping site, you can experience the same comfort as home. 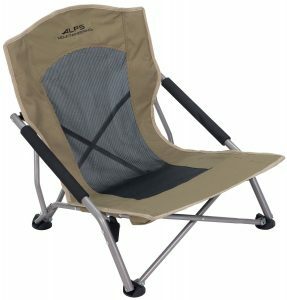 You just need to equip yourself with this ALPS camping chair. Unlike other portable seats on the market, this one boasts a removable footrest to increase comfort. This is further enhanced by adjustable armrests to keep your hands in the desired position. Its frame is sturdy featuring powdered stainless steel for maximum durability. Moreover, the frame is foldable to facilitate portability. The cover material is made from 600D fabric to offer full support hence without risk of breaking. When it comes to comfort, Alps Mountaineering chair cannot disappoint you. 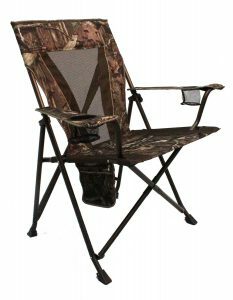 It is a reliable seat that every camping person should consider purchasing. You will enjoy maximum comfort from its design which features armrests. Further, the strong folding frame offers a full back support enhanced by a 600D fabric cover. The frame is steel constructed and can support up to 300 pounds. At the back, the fabric is meshed to allow airflow, hence cooling your body. Above all the overall comfort is enhanced by its low profile construction. 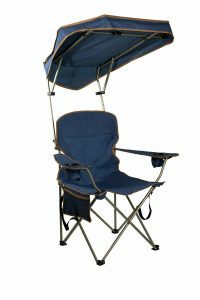 The quick shade camping chair with a shade is your absolute requirement if you are camping in hot places. It is designed to keep you cool with a removable shade and cup holders for regular refreshment. The robust steels frame is intended to support a heavy person up to 225 pounds while boasting high arching. The frame is enhanced with three layers of 600D fabric to give solid support. They are easy to clean as they are stain and water resistant. When relaxing, you don’t have to keep shifting your directions since shade is adjustable. It is lightweight and come with a carrying bag. The Kijaro double lock seat is a heavy-duty chair that gives you ample spaces when you have activities outdoors. 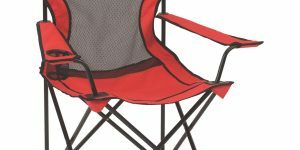 It is wider that most of existing camping chairs by 2 inches. The seat is folding meaning you can carry it everywhere and has a dual lock folding mechanism. Further, the ripstop polyester construction makes it extra light and durable. At the armrests, it is equipped with cup holders which can hold a 32 ounces cup, and the other one can accommodate a regular cup. 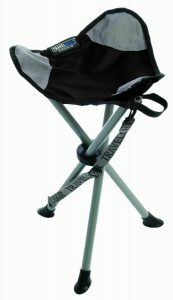 The back features a meshed material and has carrying straps fitted on the frame. 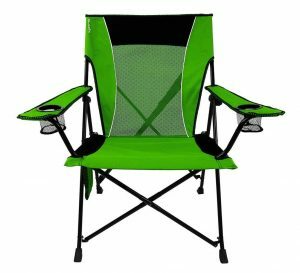 As you enjoy the natures when in campsites or the beach, Coleman mesh quad chair offers you exceptional comfort. It is a versatile seat that enables you to take pleasure miles away from home. With a spacious sitting area and enough height, comfort is a guarantee. The back polyester made and meshed top allows air circulation for efficient cooling. The robust foldable stainless steel frame can support 250 pounds. It comes with a sling bag for smooth transportation. Moreover, a 1-year warranty backs this chair. A comfortable chair when camping makes the experience memorable. You can make your special by getting this chair from Stylish Camping. Despite its many features, it is lightweight featuring aluminum frame which is fully fold able. This ensures transportation is easy and it occupies a small space. At the side, it has a retractable table and pockets allowing you to stores your accessories or books. Amazingly, with all these goodies it only weighs 10 pounds. Therefore, it is ideal for camping, picnics, and other outdoor occasions. Next time you have a picnic or camping trip don’t improvise for siting equipment. Carry this deck chair from Coleman. It is an extra-large chair and firm boasting folding steel frame. At the back is a heavy-duty fabric material which guarantees support while armrests are padded. When relaxing the side table offers a platform to keep your drinks or other accessories. The chair is fully foldable with carryings straps and comes with 1-year warranty. If camping is your passion, you have a perfect companion that will offer body and mind relaxation. The storytelling moment at night insides the camp is more exciting if you are sitting comfortably. The Kijaro folding chair with a duals lock is all you need to spices up your camping. While featuring a dual lock technology, it can be secured in both open and closed positions. The sea has improved postures and meshed back for total comfort. Both armrests are fitted with cup holders to hold your favorites drink. It can accommodate 300 pounds. Enjoy comfort and style with this foldable chair from TravelChair. It is a durable and compact seat with a folding frame to enhance portability. A combination of polyester, rip stop poly and fabric makes it extremely light and strong. Further, it can support heavy a weight of up to 275 pounds. On the other hand, it folds to a compact size hence can be carried on the back. Once closed, the Velcro straps help to keep it in position. The seating fabric is durably made from a 450D material which is resistant to sun damages and fading. 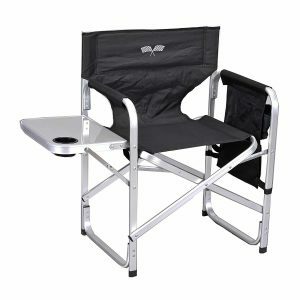 Relax with confidence when camping with Caravan sports folding chair. It offers exceptional comfort from its strong textaline fabrics which are suspended by a dual bungee system. Comfort is guaranteed by its reclining capacity, lumbar support, and headrest. The dual locking system is ideal in ensuring the seat is firm to prevent falling. Its frame is stainless steel and can support 300 pounds while folding down to 6.3’’. With caravan gravity chairs your camping will be a unique one. 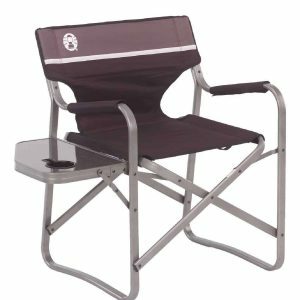 Having comfortable and reliable chair when camping, guarantees enjoyable moments. This is because the after whole day activities one needs to get enough relaxation before retiring to bed. 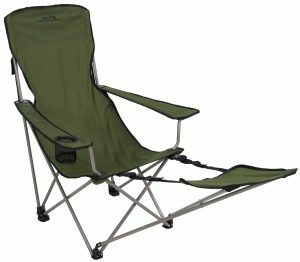 With our reviews of the bets camping chairs, you can now get yours without a hassle. Get yours today and forget sitting on stones when camping.